Nanomaterials, substances broken down by technology into molecule-size particles, are starting to enter the food chain through well-known food products and their packaging, but there is little acknowledgment by the companies using them, according to a new report from a nonprofit group that works to enhance corporate accountability. Some companies may not even know whether nanomaterials are present in their products, the corporate accountability group As You Sow said. Only 26 out of 2,500 companies, including PepsiCo, Whole Foods and the corporate parent of Pizza Hut and Taco Bell, responded to a survey from As You Sow about their use of nanomaterials. “Only 14 said they don’t use nanomaterials, and of those only two had any policies on the use of nanomaterials,” said Andy Behar, chief executive of As You Sow. Various food companies have said they are interested in nanotechnology, which can help make products creamier without additional fat, intensify and improve flavors and brighten colors. 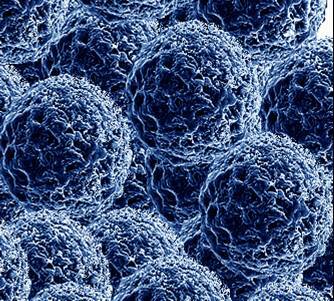 Their small size allows nanoparticles to go places in the body where larger particles cannot and enter cells. They have been found in the blood stream after ingestion and inhalation, and while research on their health effects is limited, studies have shown them to have deleterious effects on mice and cells. He noted that the European Union requires labeling of foods containing nanomaterials and that the European Food Safety Authority has published guidance for assessing nanomaterials in food and animal feed. Last April, the Food and Drug Administration issued an unusually emphatic statement on nanomaterials, saying it did not have enough data to determine the safety of nanomaterials in food. The Environmental Protection Agency is evaluating various nanoparticles used in consumer products, like sunscreens. As You Sow tested 10 varieties of powdered doughnuts for the presence of nanoparticles. With the help of an independent lab, it found that Hostess Donettes and Dunkin’ Donuts Powdered Cake Donuts tested positive for the presence of titanium dioxide materials of less than 10 nanometers. Titanium dioxide is used to brighten white substances. The nano variety is under investigation by the E.P.A. Michelle King, a spokeswoman for Dunkin’ Donuts, said the company was working with its supplier to validate As You Sow’s findings. Hostess Brands went out of business during the test and closed its factories. A version of this article appeared in print on February 6, 2013, on page B5 of the New York edition with the headline: Study Looks At Particles Used in Food.